Music study became a part of Deirdre’s life at the age of seven when her grandmother invested in a spinet piano and private lessons for her granddaughter. 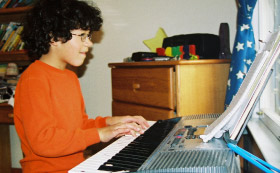 Receiving exposure to piano lessons, chorus, and school plays gave Deirdre a strong appreciation for the creative arts. As an adult, she advanced successfully in the corporate world for thirteen years before realizing her desire and passion for music would lead her to a more exciting career. After receiving pedagogy instruction at Tim Wheeler Studios, Deirdre felt confident enough to open her own studio for beginners while continuing a more advanced study of classical music with Renee Glaubitz, an instructor at Georgia Perimeter College’s Department of Fine Arts. In her 27 years of teaching, Deirdre has been successful in working with children and adults of all levels in the study of piano, music theory and international piano/theory exams through the Associated Board of the Royal Schools of Music. Soapstone Center of the Arts and The Conservatory of Dance and Fine arts are two locations where she has taught as a private music instructor. In 2006, she relocated her personal studio, Renaissance School of Music, from the Avondale Estates business district to her home in Decatur. 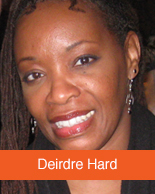 In her spare time, Deirdre co-manages rental property in her neighborhood. She continues to gain sweat equity while flower gardening and practicing martial arts, and enjoys parks and long walks with her dog, Scrapple.